This is Dancin’ Unlimited’s 40th anniversary year! In preparation for this milestone, we took some time to appreciate where we have been and the partnership we are creating with you for growing a lasting jazz dance “treasure” in Northern Virginia. We produced cabaret type shows with several companies in order to combine and share audiences. Marilyn York became the artistic director in the early 1980s and she changed the name to Dancin’ Unlimited. Marilyn attended the first Jazz Dance World Congress, which is sponsored every two – three years by the well known Giordano Jazz Dance Company in Chicago. She was so inspired she launched the annual Jazz & Tap Dance Festival with a grant from Steins (a dance shop in Arlington, no longer in business). Add educational programs (called That’s Jazz Dance) in public schools and at the Wolf Trap Filene Center. Moving into the 21st century, Dancin’ Unlimited’s “artistic development era” has leaped forward. We produce our own Dancin’ on Broadway & Beyond show annually, to be presented next at the Franklin Park theatre in Loudoun County, April 2013. Marilyn’s choreography has been selected for two Jazz Dance World Congresses (2007 and 2009). Marilyn teaches DUJDC master classes and advanced jazz dance training. We contribute to the dance community’s advanced dance training opportunities by organizing master classes with jazz dance greats such as Chet Walker, Frank Hatchett and Jon Lehrer. Today, Dancin’ Unlimited is a nationally recognized professional jazz dance company. We are founding members of the Fairfax County Dance Coalition and continue to provide extensive leadership to community dance programs. 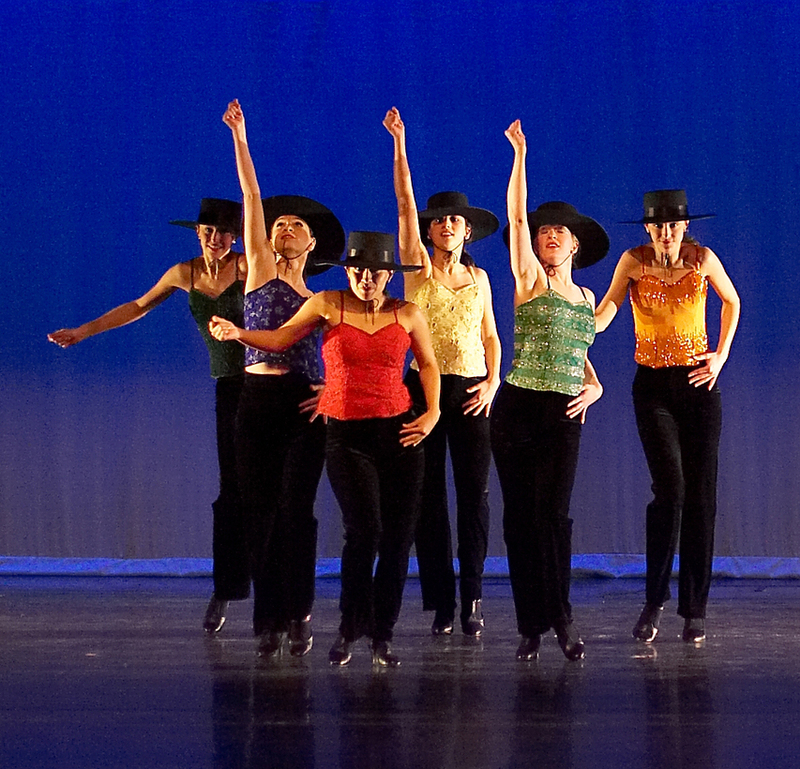 We perform in the annual Fairfax County Dance Coalition Gala and other community and regional dance festivals. We are committed to generating opportunities for jazz dancers to perform throughout the area. Many jazz dance styles emerged with classic jazz music during the 20th Century – ragtime, Dixieland, swing, big band, boogie woogie, blues, Broadway, rock and roll, and others. Each year Dancin’ Unlimited grows its repertoire of these jazz dance styles using a range of jazz choreography types such as Bob Fosse, Jack Cole, Jerome Robbins, and Luigi. As we move along in the 21st Century you can expect to see a mix of these classic jazz dance styles along with contemporary dance in new jazz dance “fusions.” Stay tune as Dancin’ Unlimited explores the rich array of new jazz music with the jazz dance styles you’ve grown to enjoy – exciting, intense, inspiring, and above all – entertaining!